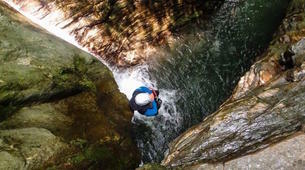 Canyoning consists of descending the lowest point of a water drainage. 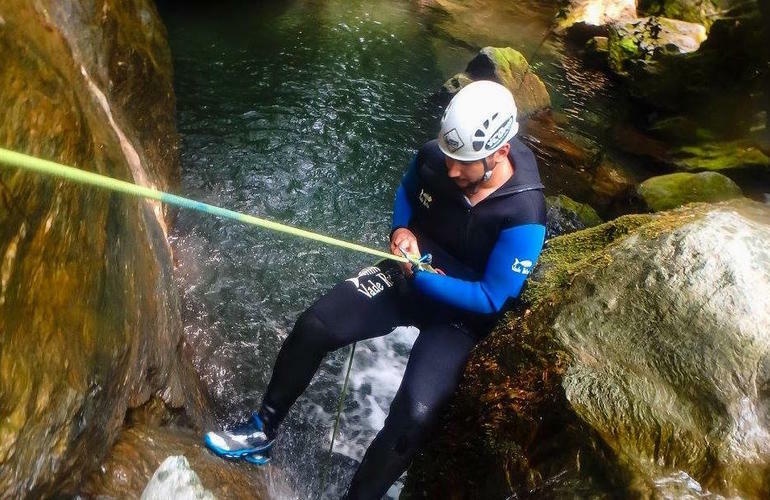 This includes a wide range of features such as creeks, streams, rivers, gorges with or without water and fast moving or not, waterfalls and natural water pools. 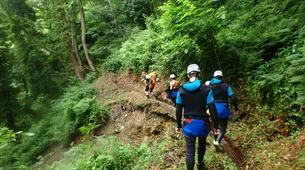 This fun activity is based on moving down the canyon and passing through many natural obstacles. 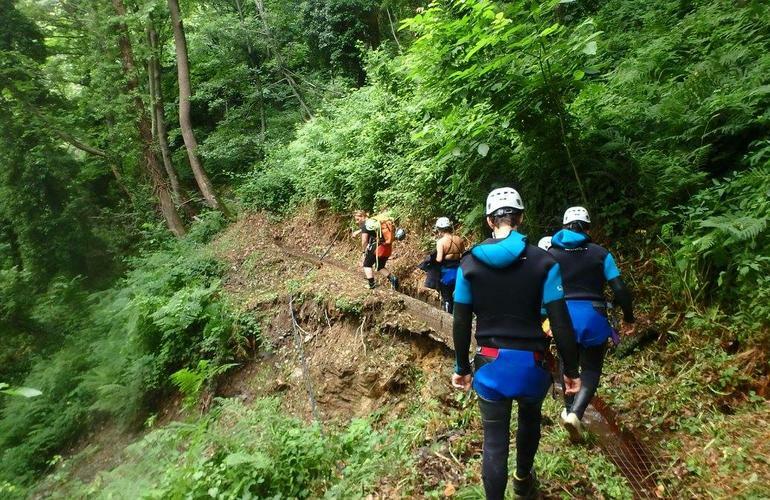 The obstacles vary depending on the canyon, to get through them you'll have to: walk, swim, jump, slide, down-climb, abseil and maybe even zip-line! 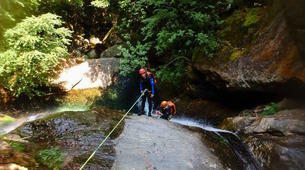 Canyoning requires specific equipment and techniques that must be adapted to the natural environment. All the canyons proposed by Mountain Escapes end up on beautiful beaches! The Centaurs’ canyons combine geology with mythology of the region! 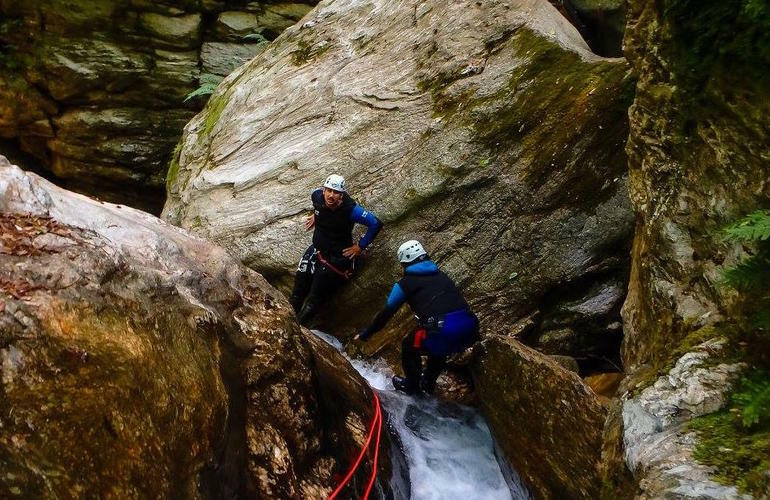 You'll be exposed to the marvellous view of the Aegean during the descent of the canyons whilst surrounded by the beautiful nature and enchanting beaches! All of which will charm you, leaving you with with a lifetime of fantastic memories. The spectacular beaches in eastern Pelion used to be the destination of the mythical Centaurs, they would often arrive here after crossing the canyons! 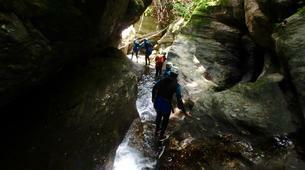 Fakistras canyon A tour is funny and appropriate for discovering the activity of canyoning. 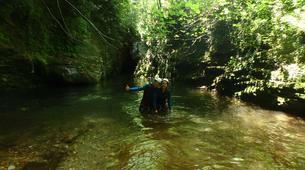 It is located in Tsagarada-Pelion practicable throughout the year. 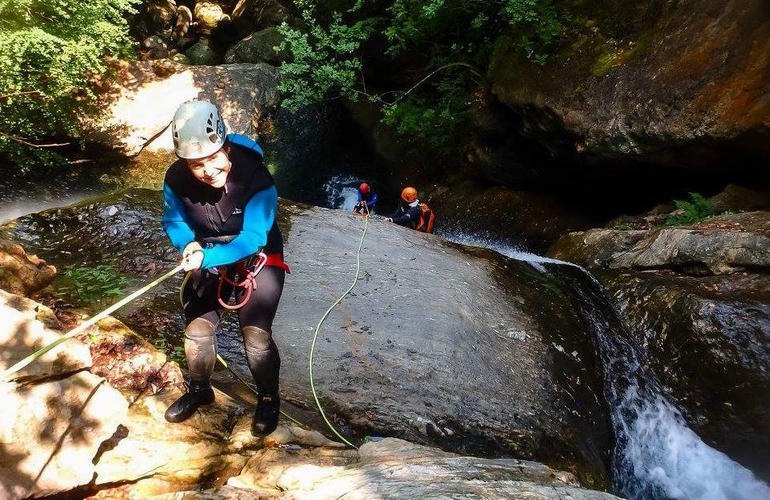 12 rappels (18m maximum), in the second part of the canyon - wonderful sequences of plants-covered and the view of the beautiful beach of Fakistra, at the end of the tour make Fakistra discovery and sporty descent with lots of fun. Canyon for everyone, children of 12 years of age minimum required. - You must be in good physical shape and must be able to swim 25 m.
- All the participant must provide weight and height by email before starting the activity for the equipment. 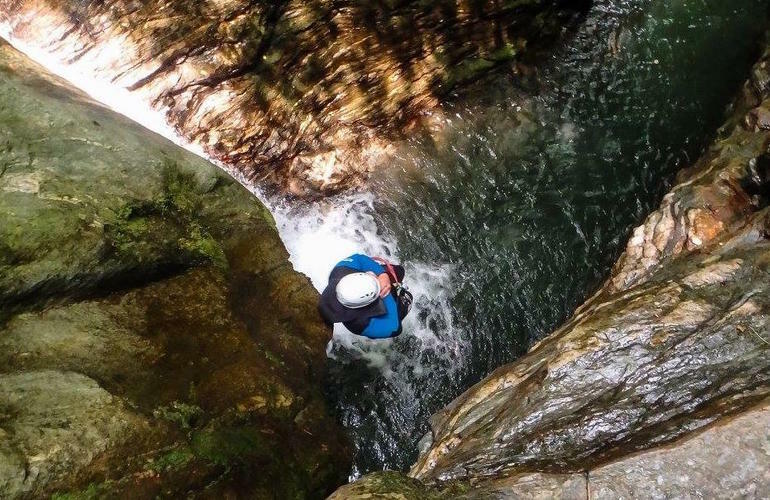 Galanopetra is a sporty canyon that has many water passages. Galanopetra is a mix of nature's magnificence and wild backdrops. 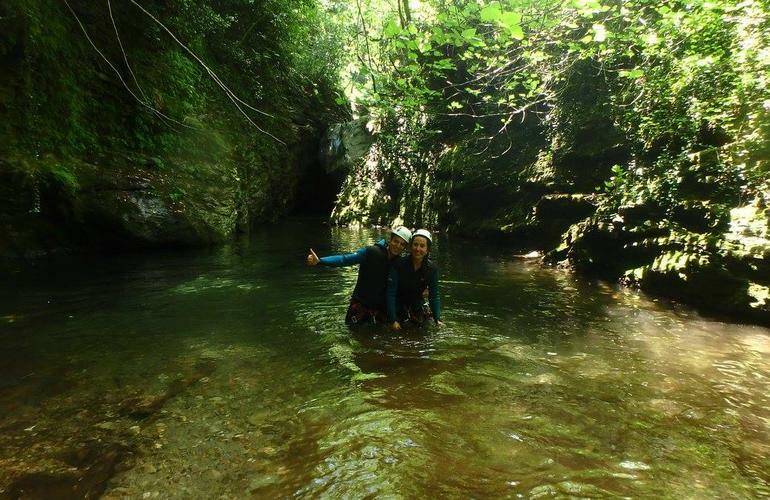 It is located in Zagora - Pelion and is the entrance of Galanorema canyon. 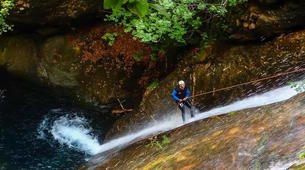 This canyon is ideal during spring after the rainy and is not practicable the winter. 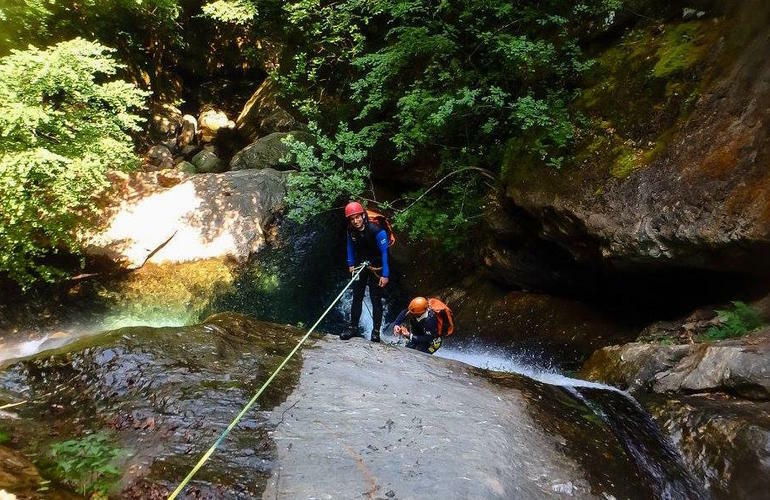 You will experience wonderful vertical descents with heavy water (first descent of more than 40 metres), hanging water pools, and jumps within a wild environment. 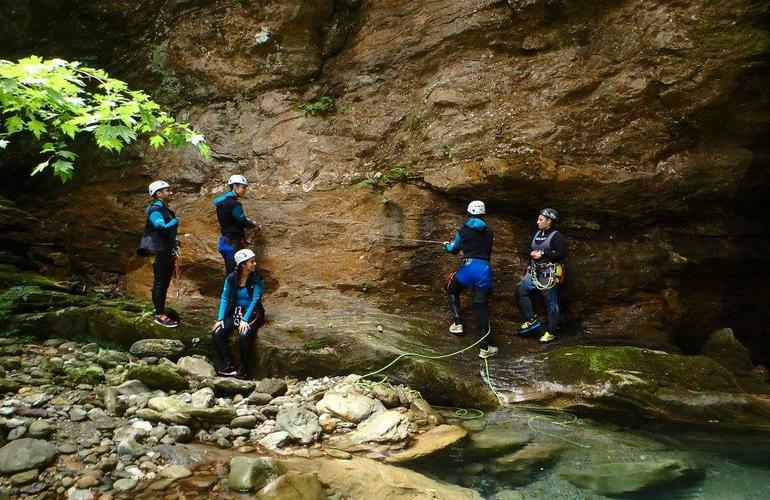 The Kathreftis canyon tour is fun and great for discovering the activity of canyoning. 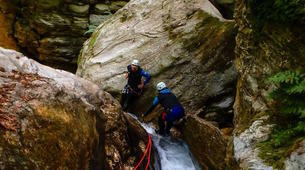 It is located in Zagora-Pelion and is practicable throughout the year. You will execute jumps (one of 2 metres – optional), go swimming, glide down natural water slides and 7 abseils (35 metres maximum). 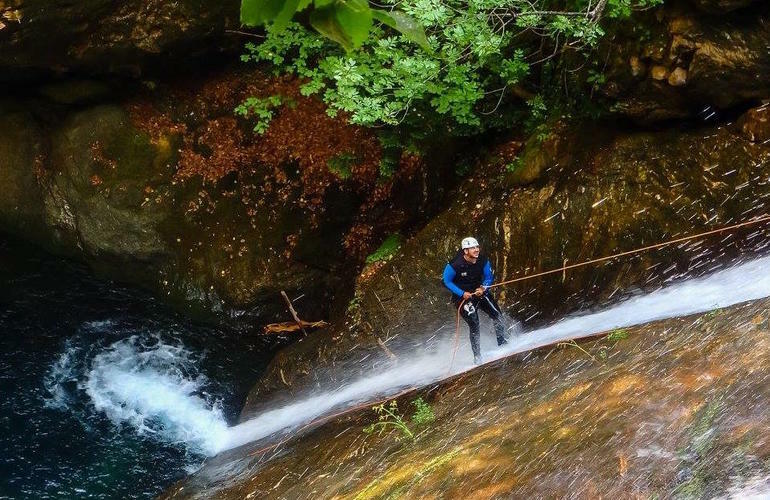 The view of the 90m waterfall, at the end of the tour make Kathrefti discovery and sporty descent lots of fun. 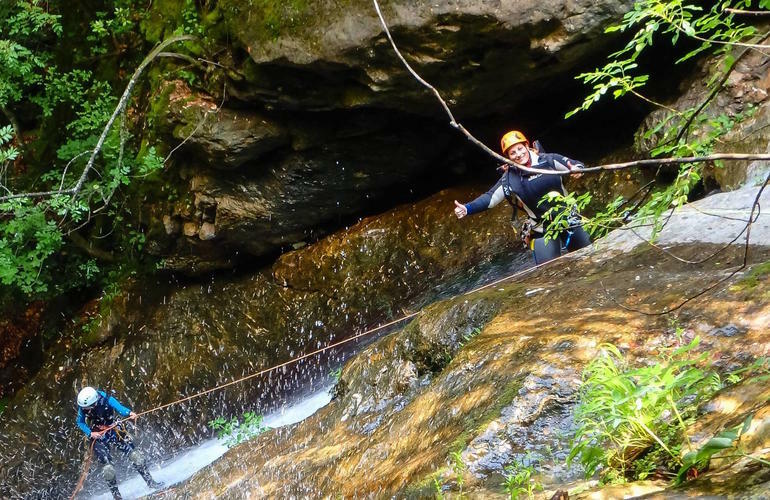 This canyon is ideal for everyone, even children as young as 12 can partake in this activity. Be in good health and able to swim 25 m.
All the participant must provide weight ,height and number of shoes at the booking time. 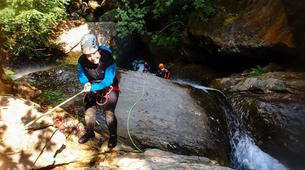 Canyon of Centaurs tour is the secret paradise of Centaurs, funny and appropriate for discovering the activity of canyoning. It is located in Kissos village and is open from March till October. 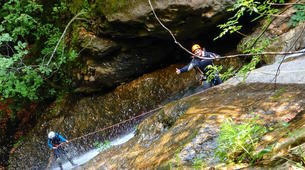 You will be jumping (6m – optional), swimming, passing natural water slides, rappeling (20m maximum). It's a sporty descent accessible by anyone. Children of 10 years can participate. Total Duration: 6 hours approx. 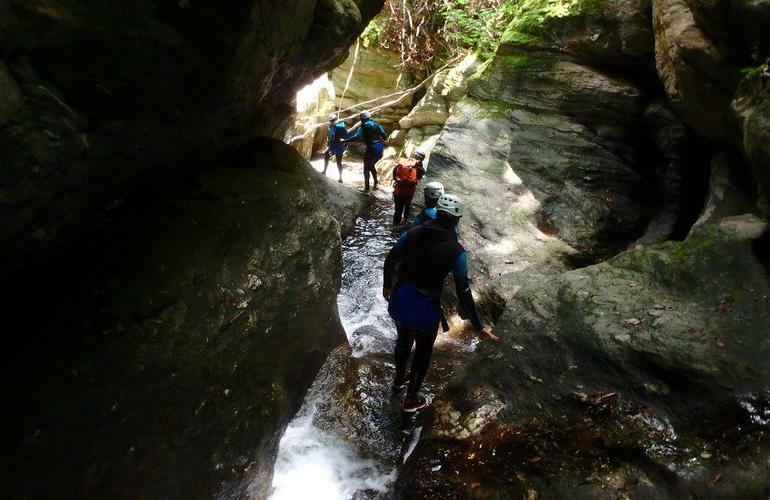 Canyon of Centaurs A+B tour is the waterland of Centaurs, funny and appropriate for discovering the activity of canyoning. It is located in Kissos village open from March till October. 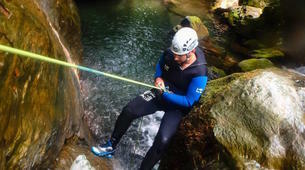 Jumps of 7m max, swimming in natural pools, natural water slides, rappels (20m maximum). Canyon for everyone,16 years of age minimum required. Be prepared for endurance ! mix of nature magnificence and wild strength. Total Duration: 8-9 hours approx. My girlfriend and I went in late december and loved it. We had virtually no prior experience, it was freezing cold out, we signed up a few days before the trip, and we didn't know Greek. It was great. They had wetsuits, so we were warm, and the guides knew english and were very experienced and friendly. I would do it again in a heartbeat.